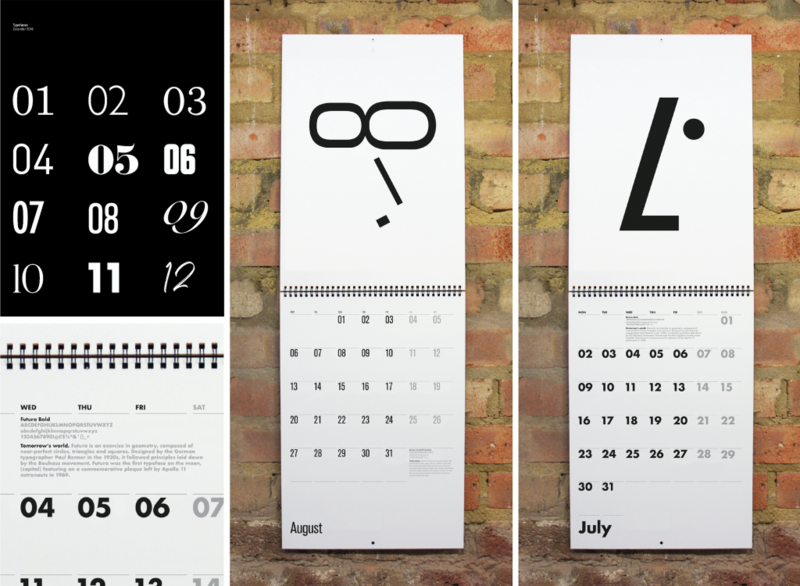 Totalcontent | new year, new calendar. Home » blog » new year, new calendar. Before we’re quarter of the way through the new year, we thought it might be worth posting some shots of the 2018 ‘Typefaces’ calendar we worked on with Pollitt & Partners. Each month features a different (type)face made from the numbers of that month — from a moustachioed March, to a smiley September. We contributed mini features for each of the 12 typefaces, unearthing quirky facts or stories behind them. Did you know that Futura was the first typeface on the Moon, or that a version of Bauhaus was used for the Postman Pat logo? Top-notch printing, as ever, from Arbiter Drucken.